The best landscaping company should transform any outdoors into comfortable, stylish, and enjoyable living spaces. 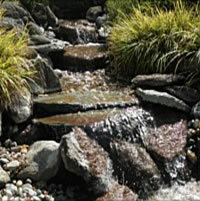 But to do that, the company has to have all the qualities of a top-notch landscape contractor. Their landscaping services should also reflect all these great qualities. Hiring a landscape company is not such an easy task after all. It can be easier, though, by knowing what to expect from the best. Simply put, a landscape company is a one-stop shop for all of your landscaping needs. A company does it all—from designing and construction to maintenance, repair, and improvement. California is among the states with high demand for landscaping services. No wonder why every property owner gets a plethora of choices with hundreds of landscaping companies in the state. But you cannot hire them all. A wise client should know how to choose the best landscaping company among hundreds of possible options. Outstanding Customer Service: Would you hire a landscaping company that does not listen to you? Landscaping recreates outdoors into a livable and enjoyable space. You will be the one to live, enjoy, and use that space, not the company. How can they tell what's best for you if they have never considered what you want in the first place? Flexible and Versatile: Don't you just hate it when the company says what you should choose? A good landscape company will never dictate. Instead, they will suggest the best materials and styles for your outdoors while still considering your wants. But the final choosing is yours to make. No Subcontractors: Landscape companies often subcontract their landscaping services. These landscaping companies often hire a hardscape specialist to build the driveway and a gardener to arrange and design the plants. 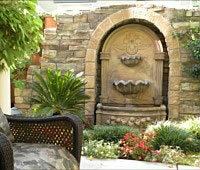 A good landscape company should have all the professionals needed to do its offered services. No subcontractors would mean faster job, hassle-free project, and cheaper rate. How can you determine if the company is among the best landscape contractors in California? Certified landscape contractors have had formal education, apprenticeship or work experience, and passed technical exams. Landscape contracting is the art and technology of garden and landscape planning, designing, construction, management, and maintenance for beautifying outdoors, creating a safe place for enjoyment and building a healthy and sustainable ecosystem. Our landscaping company has two of the best landscape contractors in California- Brian Goehring and Mike Lear. We are not just certified but also veterans in the landscaping industry, with more than 40 years of combined experiences. 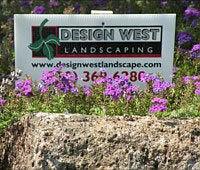 Design West Landscaping offers a wide range of landscaping services that can complete any project. We can design a landscape from scratch. Our designing team will always take into consideration your wants while also sticking to what the outdoors can handle. After that, we can continue the work and make that design come to life. Our team can build BBQ pits, fireplaces, fire pits, retaining walls, patios, driveways, decks, ponds, and a lot more. Our landscaping services also include masonry works. Landscape maintenance and improvements like building lighting system, drainage, and erosion control are significant works that must not be taken for granted. Our company has been providing professional and high quality landscape services and materials since 1991, proudly serving San Joaquin Valley and East Bay Area. Please feel free to surf around the website and see our Portfolio. Experience the difference of our landscaping services and be one of our satisfied clients.